Listening Snow Tower 听雪楼 is an upcoming drama adapted from a novel of the same name by Cang Yue 沧月 that was published in 2007. Filming is more than halfway through which seems as good a time as any for the show to finally drop its first stills. 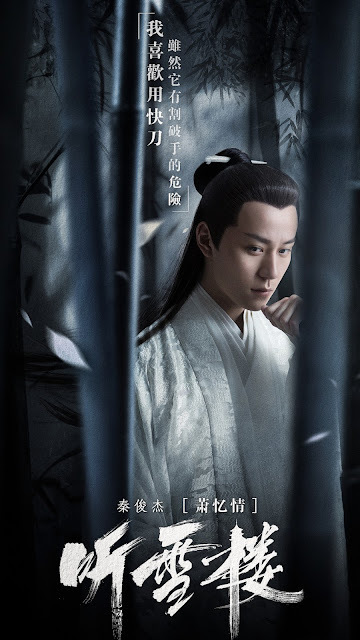 Qin Junjie (Peace in Palace, Peace in Chang An) plays Xiao Yi Qing, the Lord of the Listening Snow Tower who is strong in martial arts despite his sickly stature. Yuan Bingyan (The Mystic Nine) plays Su Jing Rong who is the Blood Demon's daughter. So many dramas tend to be remakes of old time classics that it's nice to explore newer ones that have a fresh story. 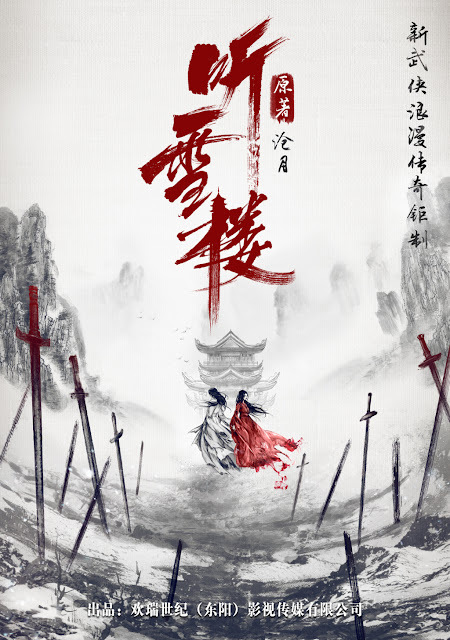 The plot seems like an authentic wuxia with opposing sects and the entire wulin caught in a rumble. 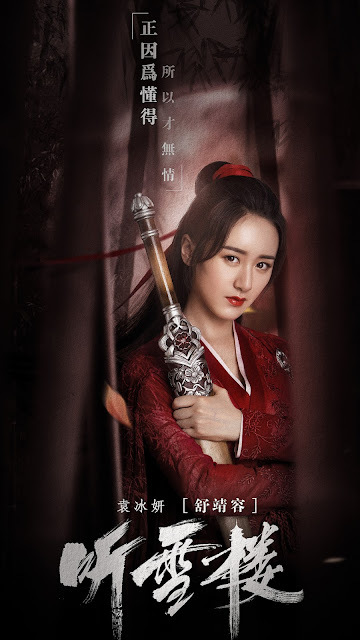 The color scheme reminds me a little too much of The Flame's Daughter but it seems that its significance goes beyond skin deep, and the crimson red probably has to do with the heroine's identity. 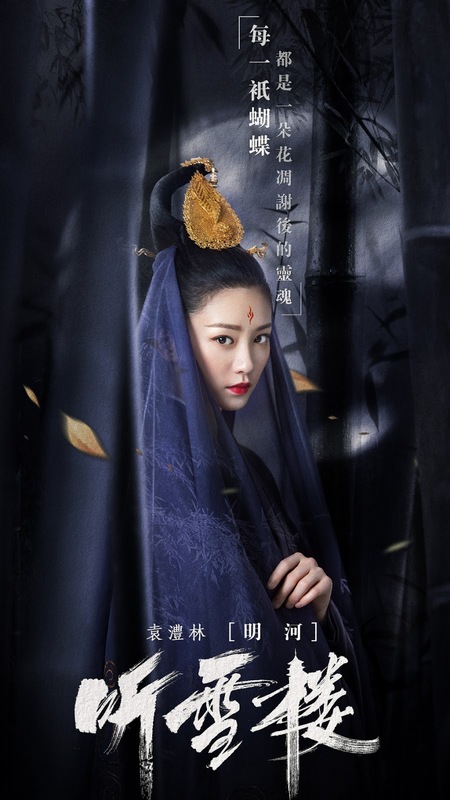 Also in the cast are Han Chengyu (Legend of Dragon Pearl) as Ka Ruo and Angela Yuan Lilin as Ming He of the Bai Yue Sect. 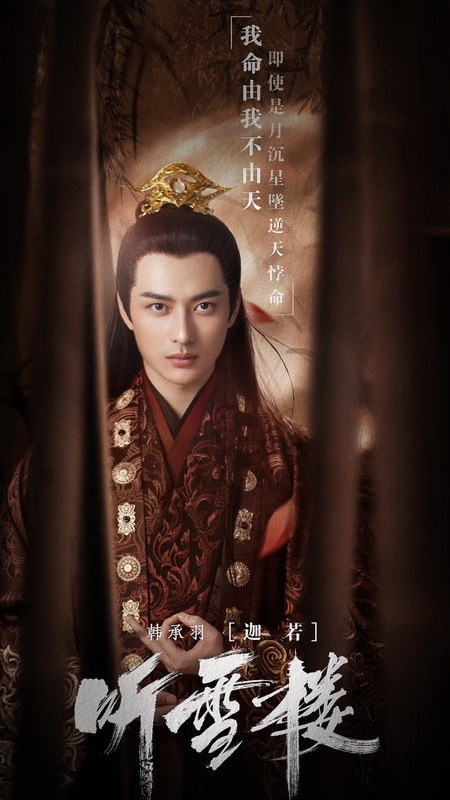 I like the two main leads, both are good actors. However, the writers for this are not the best doing adaptations imo. Both their works have left me much to be desired story wise. However, I am hoping the actors and director can work some magic.